Nina dos Santos meets Goldie Hawn. 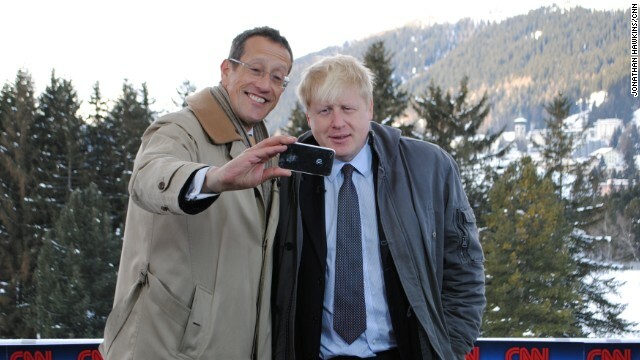 Richard Quest's selfie challenge continues. This time, it's Boris Johnson, the mayor of London. 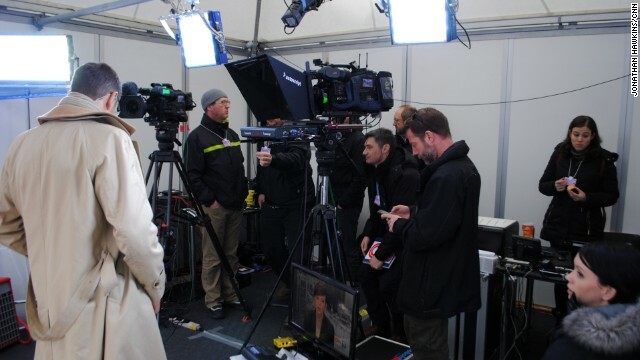 Go behind the scenes of CNN Davos coverage. Here is Nina dos Santos getting ready to go on air at Davos. 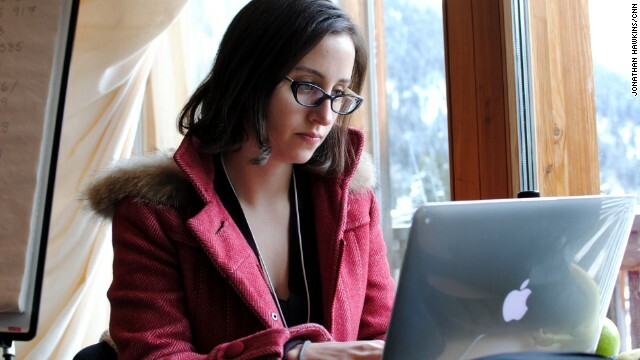 Irene Chapple, CNN digital producer, is working on her story in CNN's makeshift Davos bureau. 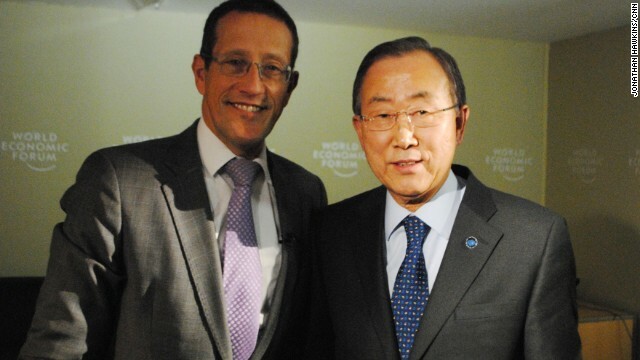 Richard Quest meets Ban Ki Moon, the Secretary-General of the U.N. 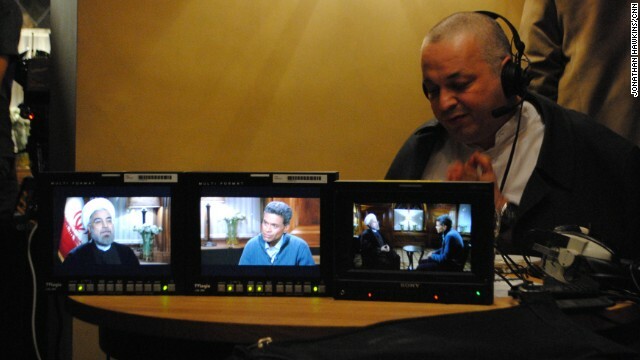 Backstage at Fareed Zakaria's interview with the Iranian President Hassan Rouhani -- CNN's translator is hard at work. 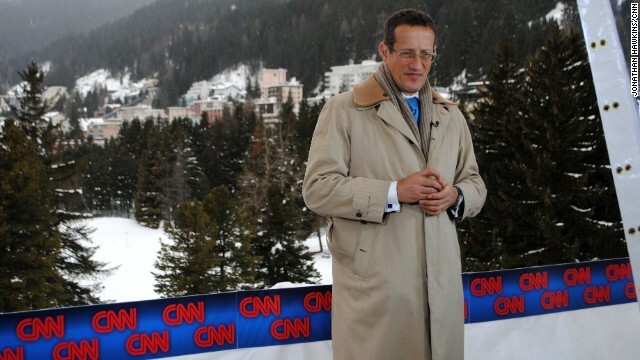 CNN's Richard Quest is anchoring coverage out of Davos. He is fronting Quest Means Business at 1600ET from CNN's live position in the town's congress center. 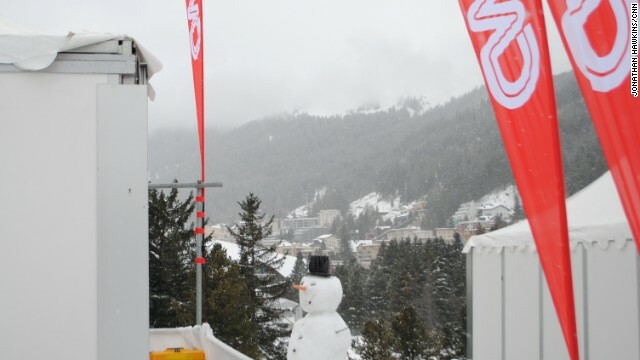 The traditional World Economic Forum snowman stands guard outside CNN's live position. 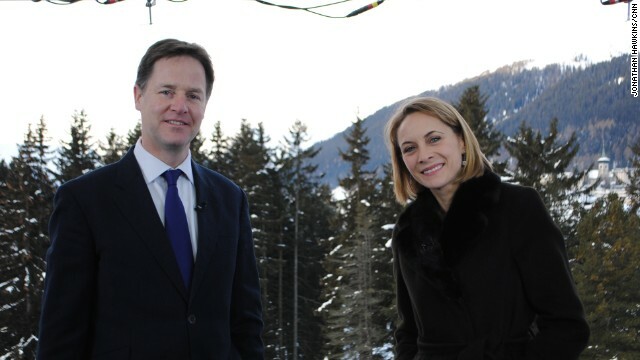 CNN's Isa Soares is in Davos, filming Marketplace Europe. This week, she looks at the science of surveys. Why so many? 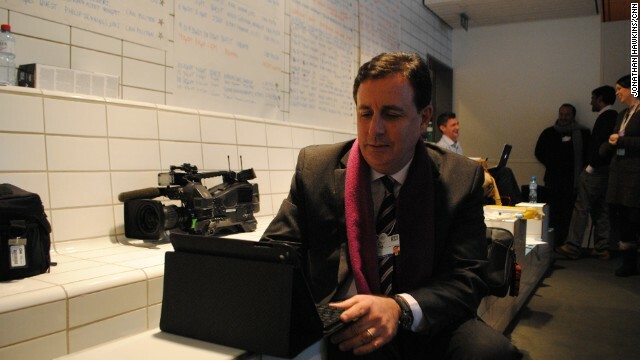 John Defterios putting the final touches to his Global Exchange show in CNN's makeshift Davos bureau. 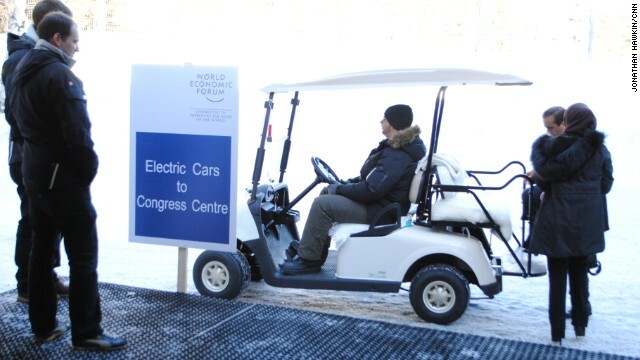 The World Economic Forum is setting up in the Swiss town of Davos, ready to open for the onslaught of world leaders and power players on January 22. TV crews working upstairs at the Davos media centre. 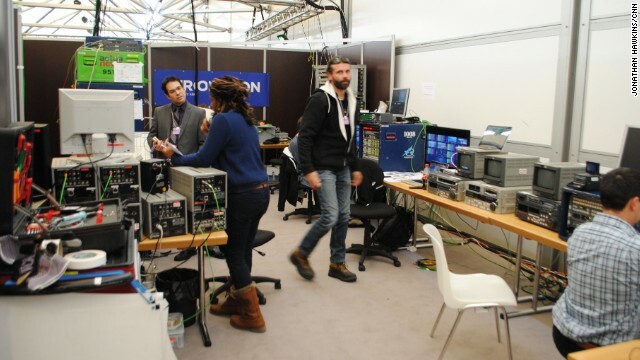 Behind the scenes Eurovision's technical support team at the Davos media centre. 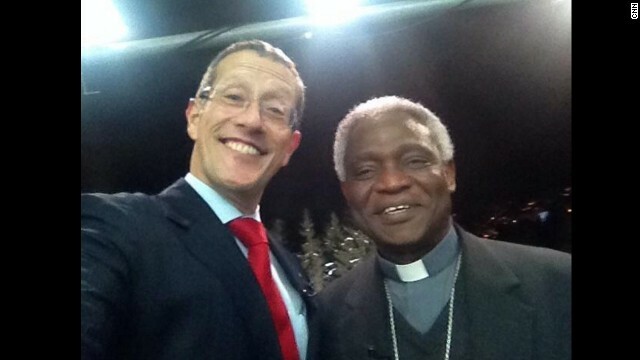 Richard Quest manages to snap a selfie with cardinal Turkson, as he brought a message from Pope to Davos. 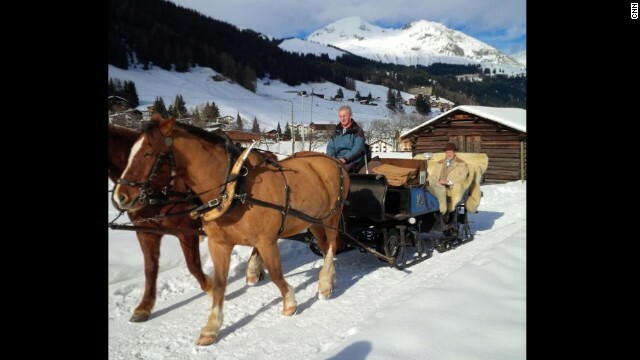 There are many things to enjoy in Davos. Richard Quest managed to escape the forum, enjoying the fresh Swiss air. 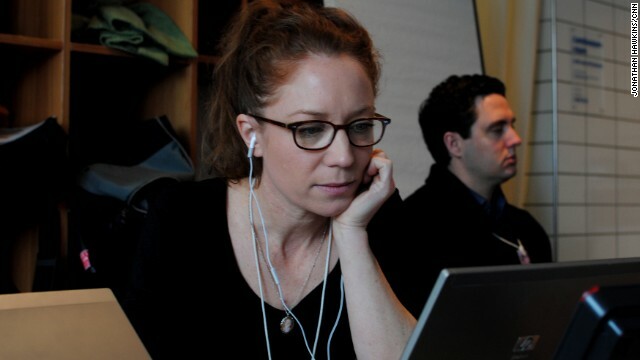 CNNMoney business reporter Alanna Petroff hard at work in the CNN makeshift bureau. Refreshments areas -- which one are you able to access depends strictly on the color of your pass. 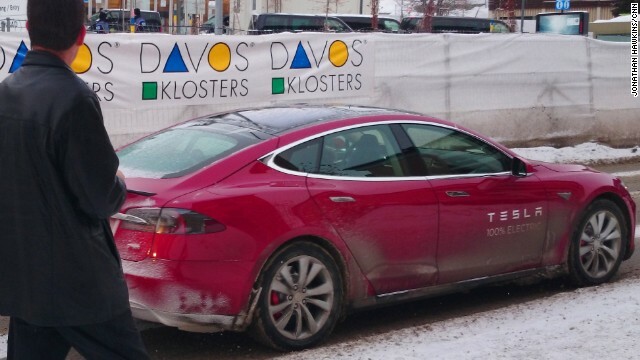 A Tesla Model S demonstrator turns heads driving around Davos. Richard Quest taking a quiet moment before going on air at Davos. Nina dos Santos finding that space is at a premium in CNN's Davos workspace. Quest talks to crew as he prepares for his first live broadcast from Davos, where the World Economic Forum is being held. Nina Dos Santos poses for a photo with Nick Clegg, the UK deputy Prime Minister. 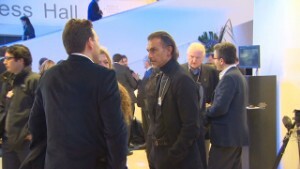 In Davos, to opportunities to meet the powerful and famous are endless. 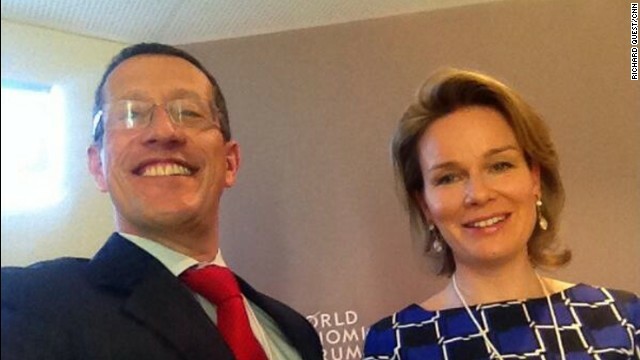 Here, CNN's Richard Quests takes a selfie with Queen Mathilde of Belgium. CNN's Nina Dos Santos is getting ready for her live shot in Davos. 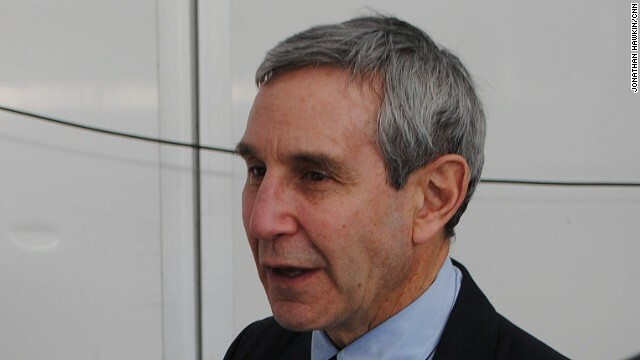 Richard Edelman chats to Richard Quest ahead of his interview on CNN's World Business Today at Davos." 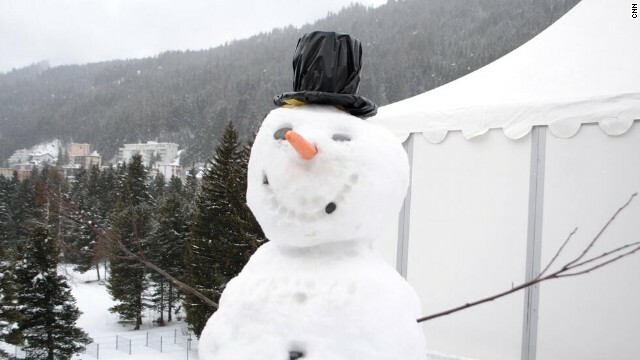 Security is key in Davos, with more than 40 heads of state attending. 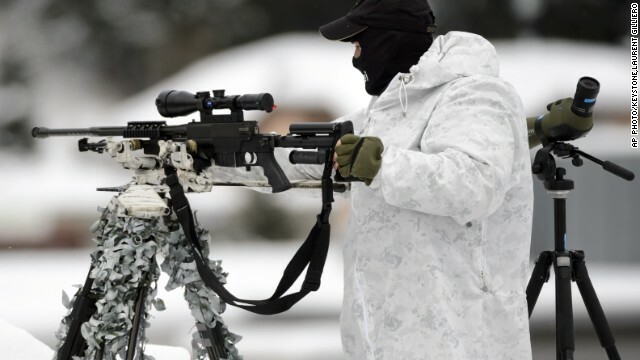 Pictured here is a Swiss special police sniper on the roof of the Congress Center. 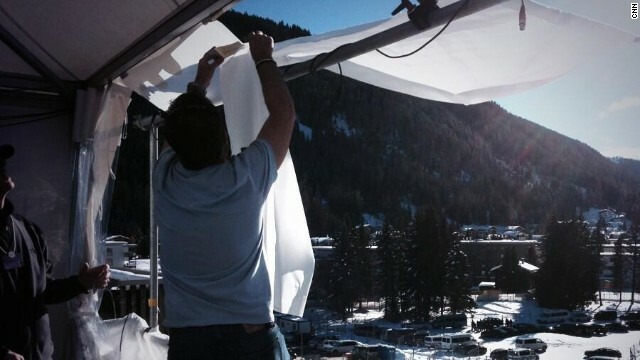 Team CNN is down to t-shirts in Davos on Wednesday, putting up makeshift sunshades in the mountains. CNN is setting up in its workspace -- which is usually used as a spa. CNN is broadcasting from Davos between January 20 and January 25. CNN live broadcast from Davos, where the World Economic Forum is being held. 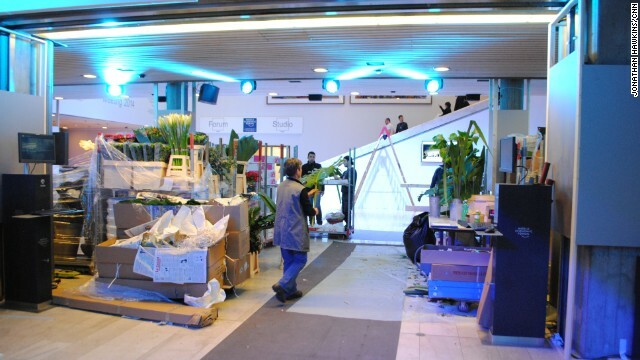 Flowers are prepared for display at the World Economic Forum in Davos, Switzerland, on January 19, 2014. The meeting of world leaders opens on January 22. 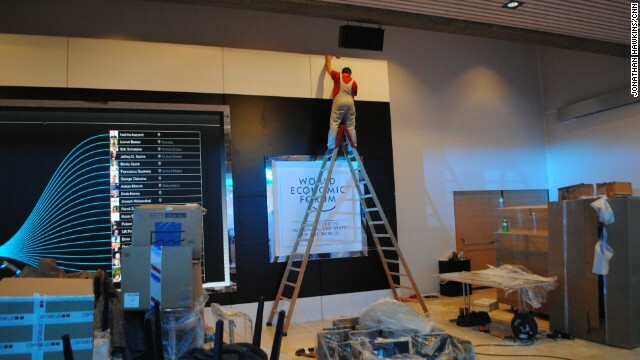 The World Economic Forum is held in the Davos Congress Centre every January. It costs around $20,000 to be accredited. 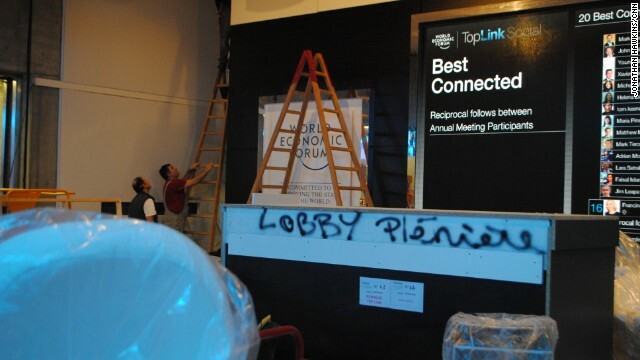 The World Economic Forum still being set up on Sunday, January 19,but by Monday January 20 security is tight and no-one can get in without badges. Goldie Hawnis interviewed by CNN's Nina Dos Santos. Working on a story at CNN's makeshift bureau. Richard Quest outside CNN's live position in Davos. 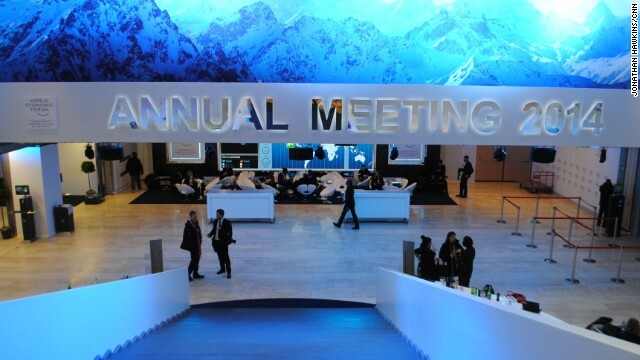 Editor's note: CNN is at Davos and will bring you breaking news, analysis and insight from January 20 to January 25. Join CNN anchors Richard Quest, John Defterios and Nina dos Santos as they ask the world's political and economic leaders what we can expect in 2014. Follow our team on the ground. (CNN) -- A word to the wise. If you're going to go walking in snow, take big steps. I was knee deep in a Swiss forest pretending to be the adventurer Bear Grylls when I came a cropper and collapsed face first into a snowdrift. Before I could emerge from my embarrassing predicament, a photograph was helpfully plastered across social media. I held out a hand for help, but Beau, a giant of a cameraman, was too busy laughing. 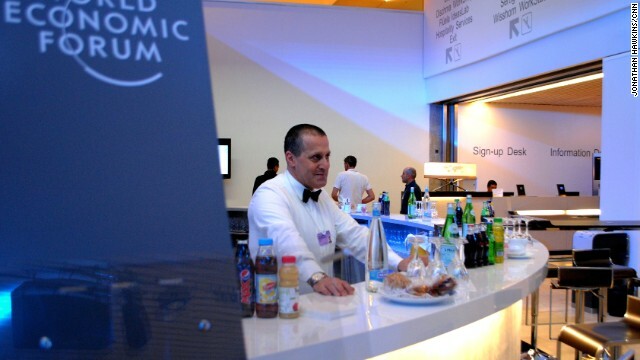 Welcome to the World Economic Forum. This place eats up Davos virgins and spits them out faster than you can say CEO. 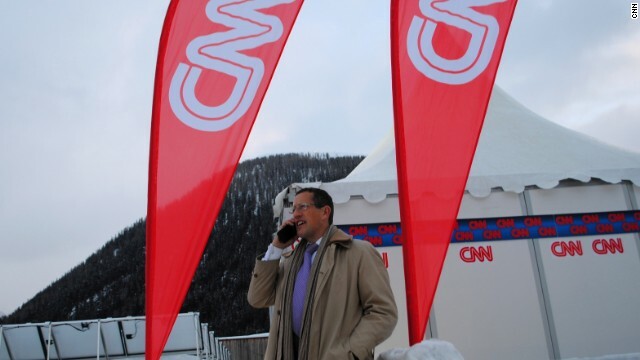 Veterans like Richard Quest, who is attending his 10th WEF, take great pleasure in warning new CNN producers that it'll cost a fortune, it's exhausting, but it's like no other event like it you've ever been to before. Imagine taking a small Swiss city, laden with shops selling little more than overpriced cuckoo clocks, chocolate and snowboards, surrounding it in barriers of steel and snipers, and inviting the masters of the universe in business, politics and academia to visit. Europe's highest city is a very strange place. It's where $20 won't even get you a portion of pasta, where your pidgin German and French is quietly laughed at, and where any kind of shoes feel like a bad choice. 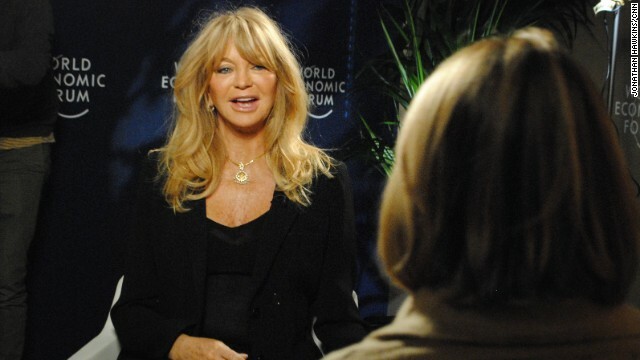 Can Davos solve global inequality? 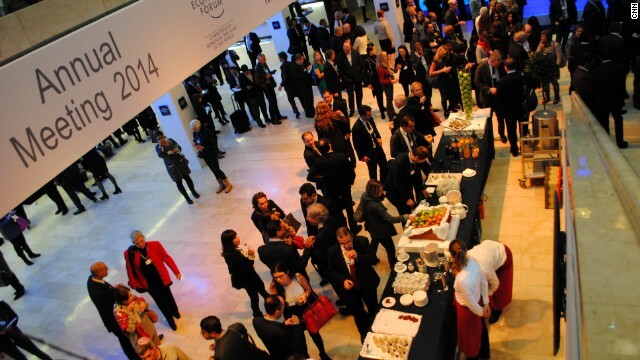 Davos: Where are the women? Billy Connolly once said: "there's no such thing as bad weather, only the wrong kind of clothing." 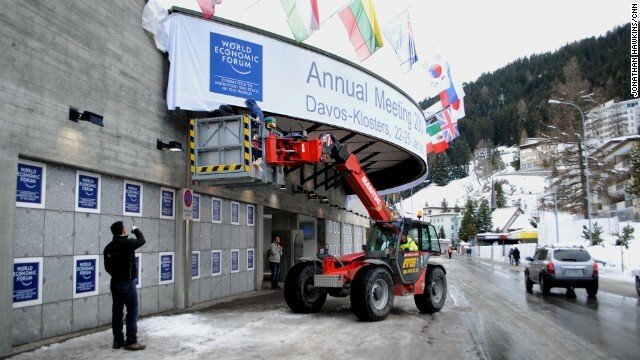 In Davos, everyone's changing clothes every time they move from ferocious air blowers indoors to the Baltic outdoors. I saw one CEO quickly dump his $400 brogues in favor of some slightly ridiculous moon boots. Hunters are stylish and do rather well. My $7 discount store rubber attachments have -- so far -- survived intact. Beyond the ring of steel, tourists were rapidly banished as journalists from round the world take over ski lodges and budget hotels. Small businesses clear off as corporate hospitality moves in. Over a weekend I watched a pet shop converted into a plush hospitality suite for Barclays. The RBS lounge looked like no other bank I've ever been to. If only my local branch in south London was kitted out with comfy sofas and a bar. It would be somewhere to drown your sorrows when you've smashed through your overdraft. Inside the barrier, once you've passed armed security, the x-ray machine and the ID card scanner, you're finally allowed entry to the Kongress Centre (clearly a typographical error) using the back entrance though a tunnel made from material not unlike a bouncy castle. It's brilliant white, and resembles a bio-hazard emergency tent which featured in E-T 30 years ago. Sweating in heavy winter gear under the power of hot air blowers, I soon discovered how my ID badge dictates your right to access, food and hospitality at WEF. Simply put it's a reinvention of the class system. Journalist purple badge holders are ranked just above pond life, but at least we can get inside the center. White badges are allowed better nibbles. Meanwhile, back in the forest, I struggled to tie a washing line between two trees. I then added some Davos related surveys with clothes pegs. This was a stunt for my show, Marketplace Europe, which showed the plethora of reports which come out to coincide with WEF. The phrase "it seemed like a good idea at the time" sprung to mind more than once in the freezing wind, followed by another whispered piece of advice from Richard which I had cheerfully ignored: "Don't forget the long johns, Pepper." Can Davos make a difference to global inequality?